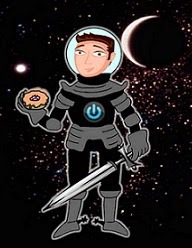 David Powers King: Félicité Found Blog Tour, New Ender's Game Trailer, Self Publishing Waters, WriteOnCon, and Updates! Félicité Found Blog Tour, New Ender's Game Trailer, Self Publishing Waters, WriteOnCon, and Updates! As promised, I'm back! I'm not nearly as caught up as I had hoped but there's no reason why I can't have a low key week, but today is anything BUT low key. Because today, I have to give a shout-out to an awesome writerly friend who has just released her debut novel! Available now is Julia King's (no relation) "horrific" love story! It's so cool seeing your work releases, Julia! best of luck to you. I have to know what all this "horror" is about to it's in my TBR list! Wondering where you can find this book? Try here and here! During my absence, a trailer for Ender's Game has been unleashed, offering a few extra scenes and a greater sense of how the characters will interact with each other. Can't say my position has changed - I'm really stoked for this movie. It's all looking better than I imaged it. 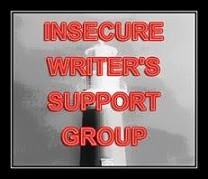 Lately, I've been more interested in the self publishing arena, namely because I have tons of stories in my head that I would love to write someday AND I have several novels already that I could polish up and self publish them instead of going through the traditional process. I'm testing the waters to see if this is a good path for me, and if anyone has any tips, links, or resources that have been useful to you, I sure would appreciate a comment - with said tips, links, and resources. Did you know that WriteOnCon, the free, online writer's conference, is happening this week? It kinda sneaked up on me! I sadly have to bow out of the show this year, but don't let that stop you from checking out this awesome con! Agents will snoop about, so head over! Updates: for those of you waiting for the cover reveal of Woven, there has been a delay that we're in the process of trying to sort out now. I really appreciate your patience and I will let you know exactly when that boat is set to sail. 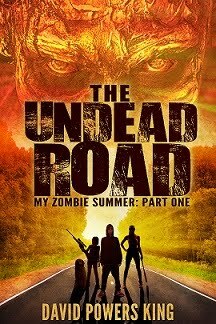 Until then, so long as I can set the rest of my affairs in order, I plan to finish my novelette and The Undead Road will resume to its epic conclusion! might take a month, but all good things come to those who see it to the end, right? Time to sign off for now. Got lots of writing to do. Have an immensely enjoyable week with much success heading your way! What have you been up to this last week? Doesn't Julia's book sound fascinating? Who's joining me for a midnight screening of Ender? Whenever you're ready to reveal the cover, just let us know! New trailer for Ender's Game is very cool. Shows much more of the story. I've been surprised by how much I've enjoyed the book. And very excited for Julia!! Yes, unfortunatley DPK and I aren't related. I sort of wish we were cousins, even distant cousins for that matter. Perhaps, we are. You never know. Thanks again!!! You're the best. 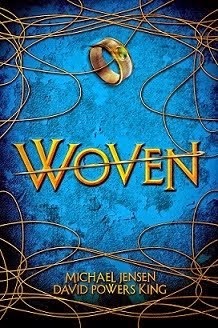 I can't wait to see Woven's cover. I wonder what it looks like. Hmmm.... Exciting times. Whenever you're ready, we are too. Congratulations to Julia. It sounds like a great book! I'll be testing the self publishing world too after getting my rights back just last week. I'm looking forward to being in control of my work. Can't wait to see the cover of Woven!!! Congrats to Julia. And we'll be excited to see your cover, even if we have to wait. Congrats to Julia on her new release. Awaiting that cover reveal, let us know when we can help. Congrats Julia on your new book. David we'll gladly wait for your cover reveal and glad you have a movie to look forward to. For me it's Catching Fire. Welcome back. Love the cover of Julia's book-- congrats to her. Felicite Found does sound intriguing. It's getting more and more difficult to be "discovered" as a self-publisher than maybe two or three years ago. But it's still a viable way to go and new self-published writers are being discovered regularly. Your genre should be a plus for success in self-publishing. But it's a very long shot. Do your research before plunging into self publishing. There are ways to do it right and ways to do it really wrong. You're brave to try the self-pub rout. I may look into it it in the future but right now I don't have the time or money to learn/do what needs to be done. Good luck with whatever path you choose. So excited for Julia! And you, too, if you're thinking of going indie. There are many, many authors I know who are having enviable success self-pubbing. Good luck on that decision. I agree, you need an easy button, lol. Good luck with the journey. Congrats to Julia--that sounds awesome! And I can't wait for Ender!! Best of luck with working out the self publishing kinks, I've been thinking about doing that myself with a few books in the trunk! Julia's cover is great - it sounds like a very interesting book! I'm one of those few who haven't read Ender's Game yet, but I'm hopefully planning on reading it before I see the movie. It looks really good! The Ender movie makes me miss my dad. It was one of his favorite books. Maybe I will go see it in honor of him...I know he'd have been psyched!! Best of luck to Julia. Hope you get your cover snafus worked out! !